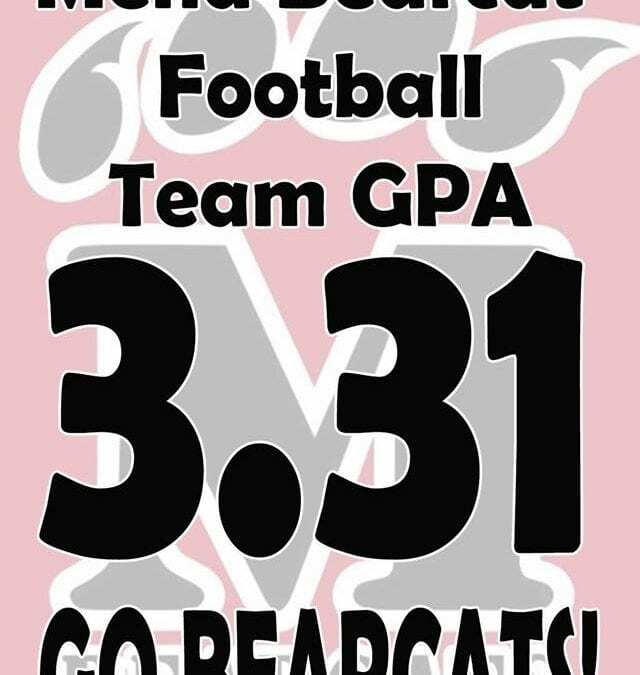 3.31 Overall Football Fall GPA - Bearcat Foundation Inc. The 2018 Football Fall GPA for 10-12 grade Bearcats was a 3.31 overall GPA! That is outstanding….We had 5 Bearcats with ALL A’s-Blake Castor, Chris Bollmeyer, Zane Stephens, Zion Barnes and Torrey Voisin. So proud of all of our guys getting it done on and off the field!